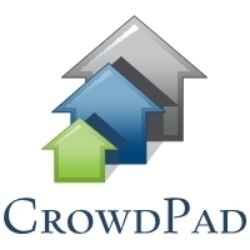 - Date: 08/2013, Seed: undisclosed amount (post valuation: undisclosed amount). Our investment properties are hand picked by co-founders Stephen G. Barr & Brian Kissinger who between them have over 40 years of real estate brokerage, finance, development and appraisal under their belts. They are both industry leaders in their respective market segments. 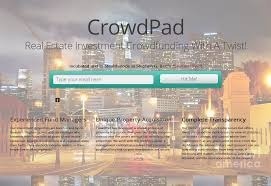 CrowdPad has developed a unique process of property acquisition that gives our funds complete control over the assets without taking title to the properties. We work with the creditors under a management contract in a manor that removes all potential loss risk so your investments are secure. Our investor portal is not only secure but offers investors round the clock access to view all statistics, up to date earnings and control where their investment is at any given point in time. From the dashboard the administrators and sponsors can see how many contributions have been made, if minimum and maximum contribution limits were attained, and the expiration date of the project.